Andrea Ziarko handles a wide range of civil litigation matters, including automobile claims and appellate work, as well as cases involving contract and business claims, insurance coverage issues, political subdivision and employment law. She specializes in research and legal writing involving complex issues in police liability and civil rights litigation. Andrea was born in Washington D.C., and grew up in North Canton, Ohio. She attended Indiana University and graduated with an Accounting major before attending The Ohio State University, Moritz College of Law, where she was actively involved in the Moot Court team. 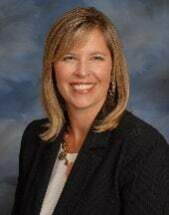 She is an active member of the Stark County, Ohio State and American Bar Associations, as well as the Ohio Association of Civil Trial Attorney. Andrea and her husband, Michael, have three children and actively volunteer in the community. Andrea is a member of the Junior League of Canton, Ohio, where she has strived to positively impact the community by investing in the lives of others throughout the community.